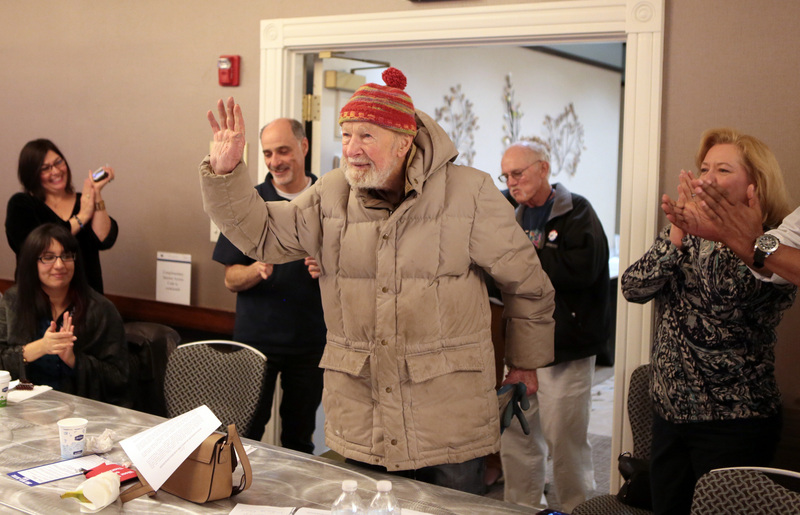 Pete Seeger talks with members of the Great Lakes-Midwest Joint Council Meeting in Buffalo this past November. The passing of famed folksinger Pete Seeger on Monday evening touched all who fondly recalled his melodic nudging of America’s social movement during the second half of the 20th century. The only time I saw him was the evening of Saturday, Nov. 9, last year while I was attending a meeting of the Newspaper Guild in Buffalo, N.Y. Mr. Seeger, still an active activist at the age of 94, was on his way to a performance at the convention center and had stopped by the hotel where we were gathered. There were about 40 union reps in the room and Mr. Seeger — who had helped write the soundtrack for America’s labor movement — was there not so we could applaud him, but so that he could applaud us. 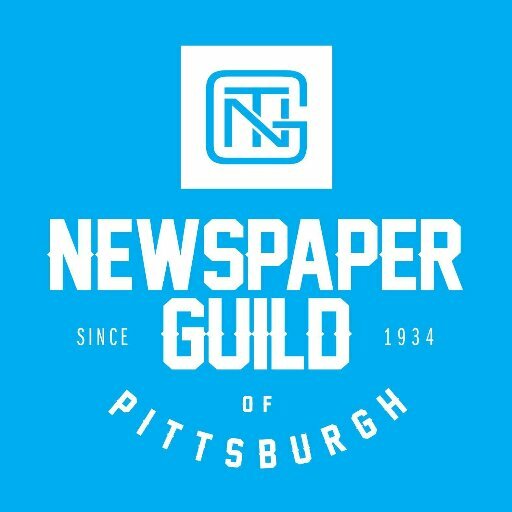 “I wanted to be a newspaper man,” he told the newspaper men and women. “I ran school newspapers for about five months in a little primary school and three and a half years in prep school. … And briefly in college. So I had about eight years’ experience trying to write articles. And I couldn’t even get a nibble of a job. “My father’s younger sister was a very good schoolteacher, and she said, ‘Peter, come sing some of your songs for my class. I can get $5 for you.’ This was 1939. He then stood up on a chair — with the help of myself and another gentleman — and sang a bit of the 1947 song “Newspapermen” without accompaniment. Many of his songs — such as “If I Had a Hammer,” “Where Have All the Flowers Gone” and “Turn, Turn, Turn” — were social anthems that inspired a generation. “We Shall Overcome” still stirs emotions, as well as action. His stop at our union meeting was brief. He never unbuttoned the down jacket he was wearing, and he didn’t remove the knit cap with the fuzzy ball. He didn’t sing the entire “Newspapermen” song while standing on that chair. He was 94 years old — and he was gone too quickly.